There’s a buzz in the coastal air in Wilmington, N.C. And most recently, it’s largely thanks to the burgeoning arts and culture scene, the heartbeat of which is Downtown along the riverfront. The city has long been a performing arts destination. Whether you’re a theatre-goer, live music fan or anything in between, you’re sure to find a venue, event or performance to satisfy. Downtown Wilmington is known for live theatrical and musical performances. One of the oldest and most beautiful theatres in America, Thalian Hall Center for the Performing Arts has been in continuous use since it opened in 1858. Other downtown stages where you’ll find theatrical and musical performances in many genres include: Brooklyn Arts Center, Cape Fear Playhouse, Blue Eyed Muse, TheatreNOW (Wilmington’s only dedicated dinner theatre) and Wilmington’s newest venue, Cape Fear Community College’s Humanities & Fine Arts Building - The Wilson Center. The new Wilson Center further establishes Downtown Wilmington as a hub for arts and entertainment. 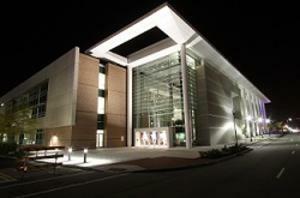 Eastern North Carolina’s largest and most technologically sophisticated performing arts center raised its curtain in October, 2015. The 1,559-seat venue in Downtown Wilmington shatters the ceiling for the type of performance that guests will be able to experience in the region. The performing arm of the Center, Cape Fear Stage, will curate three distinct series: the PNC Broadway Series, presenting national touring Broadway productions; the Star Series, bringing comedy and concert star power to the stage; and the Contemporary Dance Series, hosting new work from around the state, country and the world in an intimate studio space. Just a few short blocks away from the central business district in Downtown Wilmington is an area that has arts and antique lovers talking and shopping. What started out as a few antique stores more than 10 years ago has now grown into the Castle Street Arts & Antique District, bursting with art, antiques, restaurants, wine stores and other retail. Castle Street Arts & Antique District hosts event throughout the year, including a fall festival, Holiday Open House and Christmas Walk. The arts are alive from the river to the sea, with lakeside, park, seaside and university venues, as well as art galleries and music halls located outside the Downtown Arts District. There’s even a N.C. Ukulele Academy where you can choose your uke, learn to play it and jam with others. 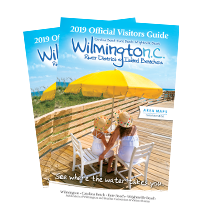 There’s truly no end to the ways you can be entertained in during your visit to Wilmington.